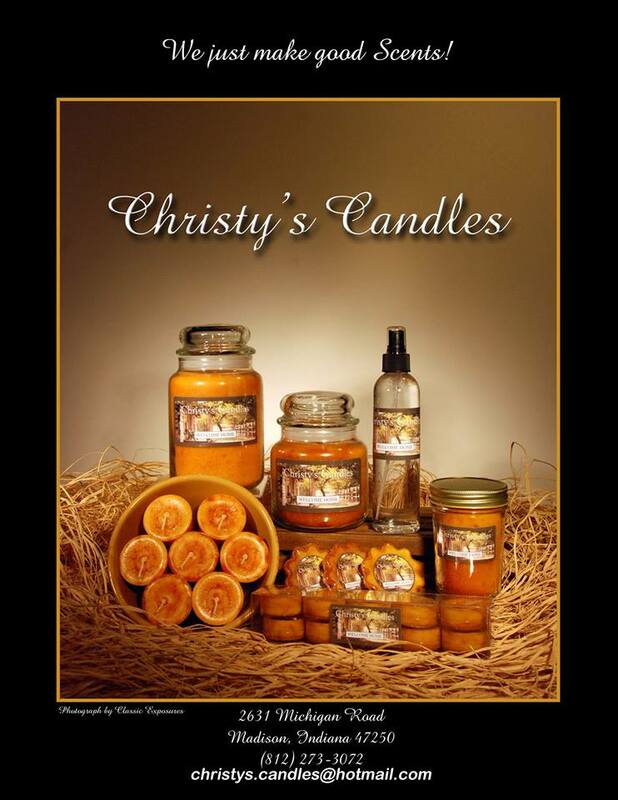 For over 30 years, Christy's Candles, Inc.® has been making homes and offices smell great one at at time! We constantly strive to make an already great product even better. Our candles are among the cleanest burning candles available today, including the use of lead-free wicks. If you are a business that could benefit from selling an exceptional candle product at a fair price, then we are your wholesale partner. With the highest standards in quality, exceptional customer service and our Satisfaction Guaranteed return policy, you can't ask for more! Please start by following the directions below, and you'll soon be selling both the Christy's Candles™ , The Madison Candle Co.™ or Grubbie Candle Co. lines at your store. Have your own logo or look? We do that too! If you have any questions or concerns, please feel free to call us at 1.812.273.3072, email us or complete the contact form and we will be happy to assist you. Must have a copy of your tax certificate (Tax ID) on file before accepting and shipping any orders. Minimum opening order is $150.00. No minimum reorder. Net 30 days from date of invoice. No C.O.D. shipments, sorry no exceptions. All merchandise shipped best way, FOB Madison, Indiana. New accounts must prepay by store check, money order or credit card for immediate shipment. Bank account information including bank name, address, phone number and contact information. It may take up to three (3) weeks to establish open account status. All past-due accounts will be charged 1.5% per month. If it is necessary to turn your account over for collections, any and all collection fees charged will be your responsibility. Orders returned without prior authorization will be charged a 20% restocking fee. Report any damage to the shipping carrier immediately, and save all packaging for their inspection. All damaged merchandise or shortages in your order must be reported within five (5) working days of delivery in order to receive credit. We reserve the right to change any and all conditions listed by notifying you of any changes. If you wish to continue as a wholesale customer, you must accept these changes, or notify us in writing that you do not agree. If you refuse to accept these changes, your status as a wholesale customer will be terminated.